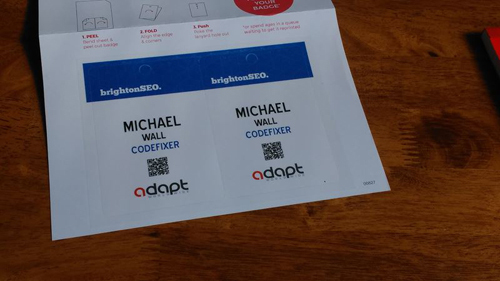 There’s been a lot of big moves recently in the world of SEO and I’ve been busy with all things Codefixer too. I’ve put together a quick roundup of my thoughts in the last few months. As of 14th march 2017, DMOZ if officially closed for business. For those seasoned SEO campaigners like myself, this is an end of an era. It was set up back in June 1998 and was popular due to directory links from DMOZ carrying plenty of authority in terms of PageRank. The human editors rather than an automated directory listing enhanced its reputation as spammy links weren’t permitted to the mass scale extent as other, less reputable directories which Google has moved to eradicate over the number of years. Along with the Yahoo directory closing back in 2014, it shows the end of an era with phasing out of human edited website directories and the inevitable rise of SEO automation from search engines like Google. It’s an era that I’ll remember with fondness and frustration in equal measure. I’ve had cases with website submissions to DMOZ that were accepted within 2 days – and others that took 2 years! Some didn’t even get included. Human edited website indexing is limited to working hours whereas automation form the likes of Google is always implementing website indexing 24 hours a day, so the end of the DMOZ style era was always on the horizon. However, it is sad to see it go and it will be a challenge for us SEOs to source links with that kind of authority in the future. This is good news to help you stand out more in search results. Getting just 1 review through your Google My Business listing from a customer will display start ratings. It is still worth remembering to allow 3-5 business days following a submitted review before your star listing appears, though it can happend quicker. Technical SEO has made a big comeback over the last couple of years. I’ve recently witnessed a dramatic performance (or over performance) of a website that has strong onsite SEO in place, but was now really reaping the rewards. Improving the site’s ‘crawlability’ for Google’s crawlers to index your website using tools like Google Search Console and optimising the site for higher CTR (click-through-rate) made the rankings of the site go BOOM! 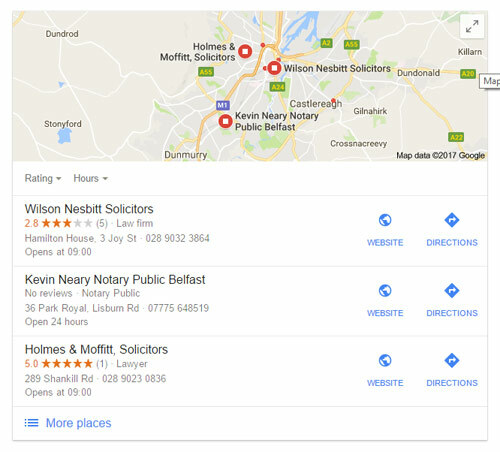 Over the years, there’s been much discussion about how small business can target both Southern and Northern Ireland with the one website. Though I’ve yet to hear a clear cut strategy. I’m not talking about having 2 sites with a .ie and a .co.uk/com with different content, but getting traffic to one site from both regions for small business websites. This has been a tricky issue for many small businesses I have encountered, particularly some based on the border that have a relevant audience from both sides of the border. I did hear one suggestion recently from the head of a top UK digital agency. His suggestion was to use the hreflang tag. However, this would involve additional work as from my understanding, there would need to be one homepage for UK targeting and another one for Ireland. You would need to have the same site on your .com/uk domain and the .com/.ie as well. It’s a suggestion I’m going to test, so I’ll keep you posted. If anyone has any other ideas, I’d like to hear them! A wee useful tip for those of you who want to experiment with the features of Google Analytics, even if you don’t have access to an account yet. Google has a free demo account that you can access with demo data to experiment with. More details of the Google Analytics demo account here. Google has provided lots of Google Analytics learning resources. You can let me know how you get on! The last couple of months have been very busy round here, though there’s been time to visit Google Headquarters in London, the excellent Learn InBound conference in Dublin and I can’t wait to hit Brighton SEO in the next few weeks. The agenda looks brilliant and with so many different tracks including Local SEO, Paid Search, Site Speed and Onsite SEO – it’ll be hard to pick which ones to go to. This draft has been sitting here for a week or so, and in that time I’ve just got back from BrightonSEO, and I can tell you it was well worth the journey. It’s amazing to think just how big this industry is now, with 3,500 digital marketers packed into the Brighton Centre. Hopefully I’ll get a blog post up with my thoughts on the conference, both good and bad. Not only was the event worth it, the weather was sunny and warm.